The 72nd ROEL Lecture Session was held in Conference room on 4th floor in Research Center for Organic Electronics on December 9. 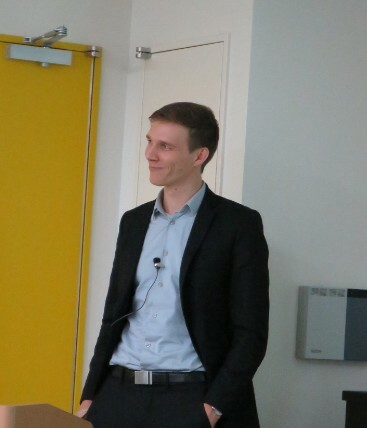 We invited Micaël CHARBONNEAU from CEA - LITEN (France) Printed Electronic Devices Laboratory as a guest speaker, and he gave a lecture entitled "Challenges and Developments in Printed Electronics : from Materials to Circuits." Many researchers and students attended to the lecture and the 72nd ROEL Lecture Session finished in success.